Beginning his speech at the London School of Economics (LSE) last week with the words…”I believe,” was a risk for George Osborne the Conservative shadow chancellor. It’s a term that either invokes incredulity, ridicule or worse. Incredulity that we have any conviction politicians left. That’s “conviction”, not convicted. Ridicule because of the lampoons of comedians such as Kenny Everett and Lenny Henry. 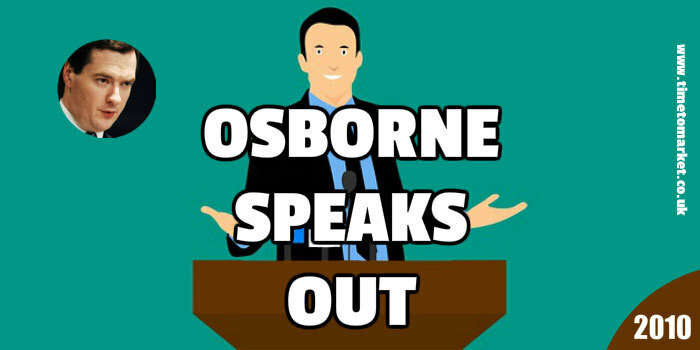 But, it is probably about time that George Osborne speaks out. So, that’s how the shadow chancellor began his speech. But, in his next breath, we heard a question. The question then allowed him to explore the theme and content of his speech, “A New Economic Model.” Quite neat. This exploration allowed George to ridicule the incessant claims of the current Chancellor and his immediate predecessor. So he’s no stranger to ridicule. His Eight Benchmarks for Britain gave the speech some needed structure. Albeit, the tone and weight did sound suspiciously like the tests set by Gordon Brown for our membership of the Euro Zone. A different time, place and context, but familiar. The eight benchmarks provided structure but George did not hammer each one of the points home. That was a pity because as the speech continued it became more and more oriented towards a sound-bite style piece for the waiting newsmen. Phrase after clever phrase littered the piece. These were good, but they were too numerous to recall later. A listening audience needs some substance but not sound-bites. A good effort from a speaker who has sounded reedy in the past; he’s got some way to go though to challenge the supremacy of others who have held the office to which he aspires. 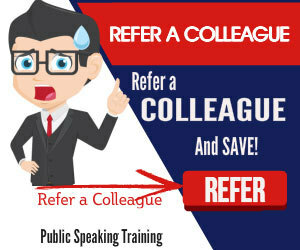 Of course, you can also speak out with a public speaking skills course. Please don’t hesitate to get in touch with us when the time is right. 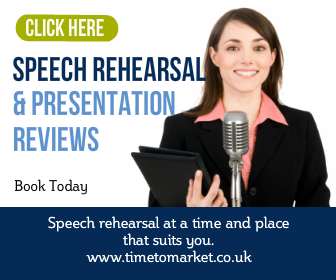 And, in the meantime, you can review a whole series of tips for public speakers, podcasts and videos for every public speaking opportunity. Previous Post A Death Worth Dying For. Terry Pratchett’s Dimbleby Speech Next Post Sarah Palin: A Hand To Mouth Existence?